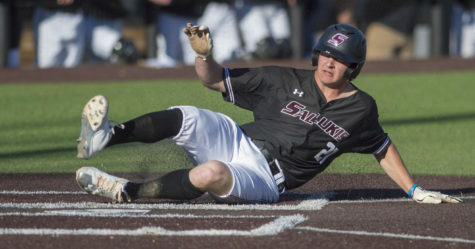 SIU baseball took a 1-0 series lead following Friday’s opener but failed to close on Saturday, losing both games of a doubleheader to take a 1-2 conference series loss at Indiana State. 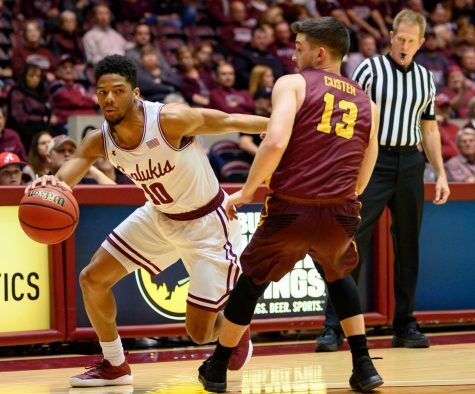 Coming off their first weekday win at home Tuesday against non-conference opponent Southeast Missouri, the Salukis looked to keep the momentum moving forward in a conference match-up against Indiana State. Southern sent senior starting pitcher Chad Whitmer to the mound for the first game of the weekend series Friday. 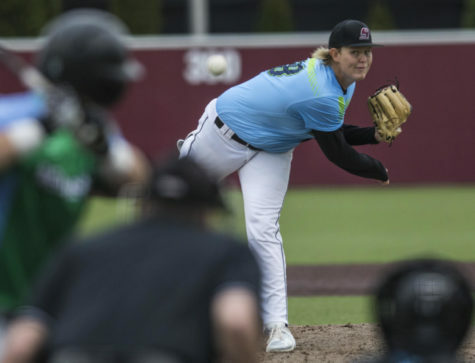 Whitmer looked to rebound after a shaky start against conference opponent Wichita State last weekend, where he allowed seven runs on nine hits and four walks through 5.2 innings of work. He accomplished this with his first career complete game, with a career-high 13 strikeouts, limiting the Indiana State Sycamores to one run on five hits and only one walk through 9.0 innings. The only run the Sycamores scored in the game came in the bottom of the second when sophomore left fielder Chris Ayers lifted a 3-2 pitch over the right field fence for a solo home run to give Indiana State an early 1-0 lead. The Salukis tied the game in the top of the third when junior left fielder Greg Lambert hit his team-leading fifth home run of the season just inside the left field foul pole to make it 1-1. Southern took the lead in the top of the eighth after junior second baseman Connor Kopach singled with one out and advanced all the way to third base on an errant pick-off throw from Indiana State’s pitcher. He scored on senior center fielder Ryan Smith’s sacrifice fly, giving the Salukis a 2-1 lead. Whitmer struck out the final two batters of the ninth inning to seal the win for the Salukis and give them a 1-0 series lead heading into Saturday. With heavy rains expected Sunday, the final two games of the three-game series were rescheduled for a doubleheader Saturday. In the first game of the doubleheader, Southern put junior starting pitcher Michael Baird on the bump against Indiana State. 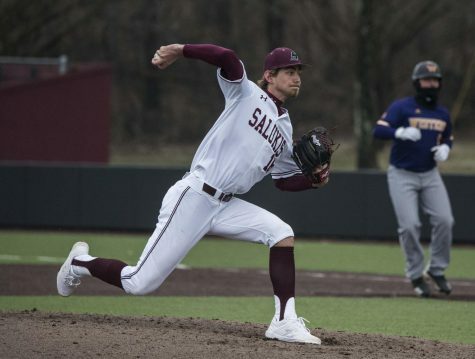 After his shortest outing of the season last weekend against Wichita State, where he managed only 4.0 innings while allowing five runs on seven hits and four walks, Baird looked to bounce back as Whitmer had Friday and give the Salukis a long and productive outing. Baird failed to turn things around, allowing eight runs on nine hits, two walks and a hit batsman through only 3.2 innings Saturday. A 30-mile-per-hour wind blowing straight out to left field also aided Indiana State in logging three home runs against Baird during the game. 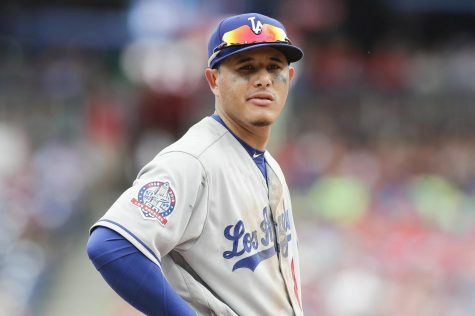 He only allowed one home run all season prior to this start. 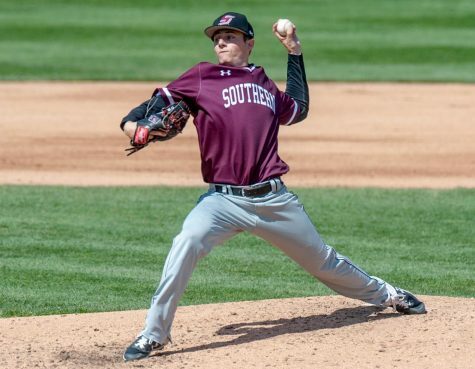 The Salukis could not take advantage of the conditions against Indiana State’s sophomore starting pitcher Tyler Ward, who allowed only two runs on six hits while striking out five and walking none through 7.0 innings of work. Both of Southern’s runs came in the top of the third inning. The first scored when Kopach and senior third baseman Ryan Sabo executed a double-steal, with Kopach drawing a throw to second base allowing Sabo to steal home ahead of the throw back to the plate. Kopach scored from second base on Lambert’s RBI single to left field for the second run of the inning, and the last of the game for the Salukis. The Sycamores scored in five of the six innings they came to the plate, with four runs in the bottom of the sixth putting the score at 15-2 and bringing the MVC’s 10-run rule into play. 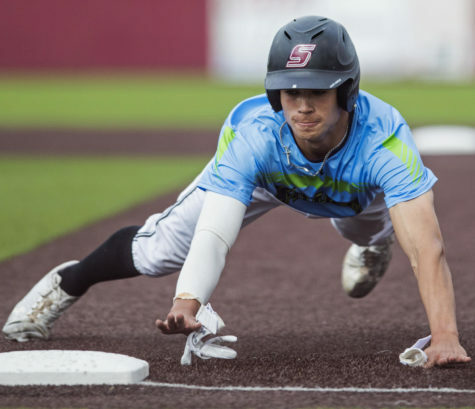 Southern failed to score in the top of the seventh, losing the slaughter-rule shortened game in seven innings to move the series to a 1-1 tie heading into game two of the doubleheader. For the deciding game of the series, Southern sent senior starting pitcher Joey Marciano to the mound in hopes of bringing home a conference series win. Marciano had a solid outing Saturday, scattering three hits while issuing four walks and striking out four batters to keep Indiana State off the scoreboard through 5.0 innings. He was pulled from the game in favor of senior pitcher Jacob Williams after allowing a lead-off double to open the bottom of the sixth inning. Williams stranded the lone inherited runner to close out the sixth inning. With Marciano and Williams keeping the Sycamores off the board through six innings, the Salukis could not muster any runs of their own. 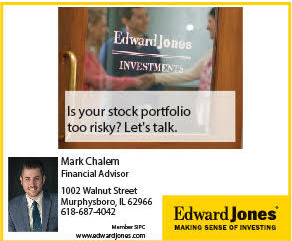 Through the first six innings, Southern stranded six baserunners — three in scoring position — as its hitters failed to come through with a clutch hit. Indiana State got on the board in the bottom of the seventh with help from two uncharacteristic fielding errors from Southern’s defensive unit, taking the lead 3-0. 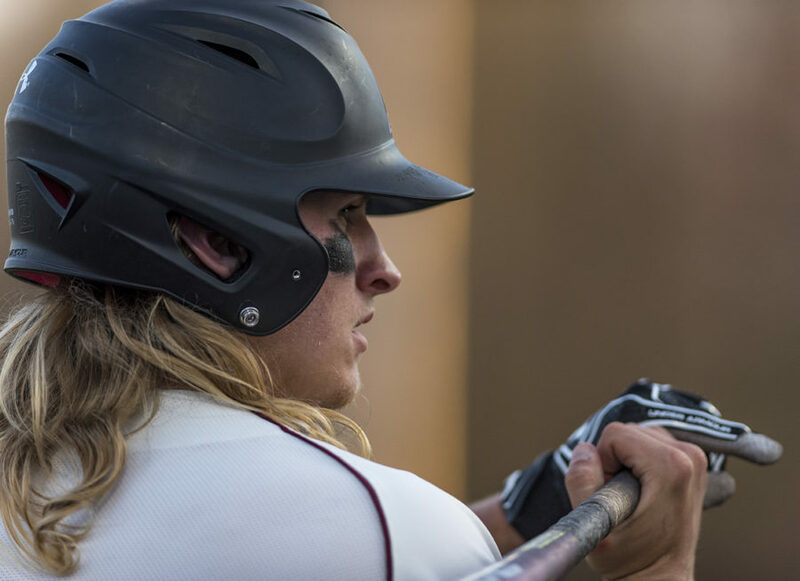 The Salukis put a run on the board in the top of the eighth when Lambert doubled to left field to lead off the inning before advancing to third base on a wild pitch. He scored on junior first baseman Logan Blackfan’s RBI ground out to first base to make it a 3-1 Indiana State lead. 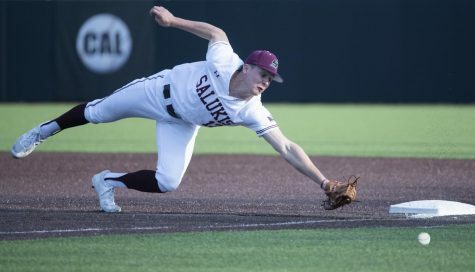 But the Sycamores answered right back in the bottom half of the eighth when a two-out walk circled the bases to score on yet another error by the Saluki defense to make it a 4-1 game. The Salukis put a runner on second base with two outs in the top of the ninth after freshman right fielder Addison Fugitt worked a six-pitch walk and advanced on a wild pitch. But Kopach was caught looking on a 3-2 pitch across the plate to end the game. All of Indiana State’s four runs scored in the game were unearned, but were enough to take the win in the rubber-match and secure a 2-1 series win for the Sycamores. Lambert batted .454 (5-for-11) in the series, with a double and his team-leading fifth home run of the season to go along with two runs scored and two RBI’s. Kopach collected three stolen bases during the series, moving his total to 22 steals on the season to remain tied for fifth overall in Division I NCAA baseball. Marciano logged 5.0 solid innings in his start Saturday, allowing no runs for the first time since his 5.0 inning, one hit winning effort against the University of Illinois on March 19. 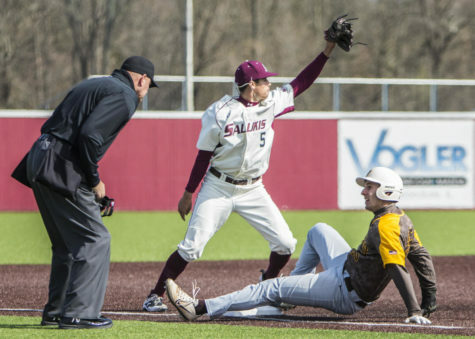 SIU (18-19, 5-4 MVC) will host non-conference opponent Belmont at 5 p.m Tuesday at Itchy Jones Stadium. Following the weekday match-up, Tennessee Tech will visit Southern for a non-conference three-game weekend series beginning Friday.